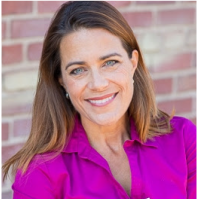 Amy Tirion's interactive and introspective programs are customized to help individuals tap into their personal source of wisdom, happiness, strength, and inspiration. Amy will work with you to create a program that aligns with your organizational and team goals, whether it's navigating a change, fostering greater empowerment for well-being, providing new mindfulness tools to manage stress and resilience, or inspiring renewed commitment. This experience tells your employees or clients that you value them, you care for their well being, and that you honor all that they give and all that they are. Programs can be designed around specific themes, held in different locations, and are offered as a keynote or a half to full day workshop. "I gained so much personally from Amy’s program in the past that I wanted to provide the same empowerment and renewal for my company’s leadership. I asked Amy to create a program for my management team that would inspire and energize them to embrace our new Kara’s Cupcakes operational and service model. The workshop exceeded the expectations of 100% of my managers. They appreciated the time they were given to restore and focus on their own lives. They reconnected with the most fulfilling parts of their jobs and in turn, brought a renewed commitment and excitement to the important work of our company's launch. It was a very meaningful team building experience." "We are still talking about our retreat this week. It really was a unique team building experience that focused on wellness in a playful, creative, inspirational way. My staff feels truly appreciated and those that were absent feel like they missed something special! We all experienced something new, left wanting more, and still feel gratitude from all we received. Amy offered a wonderful combination of activities and guided us through the whole day perfectly." the right event for you. "This was my first time doing meditation and yoga, two things not in my wheelhouse. But Amy does a fabulous job of making even a beginner feel comfortable. I felt at home, relaxed and comfortable. It was very enjoyable and it was great to be able to share this with my wife, who has done these programs before. I left feeling fulfilled, empowered, energized and calm." "My wife and I just went to a Sonoma spa retreat. While it was a beautiful serene setting, I really did not get energized like I did from your retreat. The spa was just a leisure way to spend time but it didn't revitalize me like the mental renewal I received from the Delight retreat!"